California State University (CSU or CalState) is a major component of the state’s public higher education system, along with the University of California and the California Community College System. Almost 412,000 students attend the 23 university campuses and seven off-campus centers it administers throughout the state. Combined, the campuses and off-campus centers offer more than 2,000 different bachelor’s and master’s degree programs. The university also operates laboratories and observatories throughout the state. The California State University system traces its origins back to the Weekly Normal School founded in 1857 to train elementary school teachers. That school became California State Normal School and moved from San Francisco to San Jose in 1871; the campus is now San Jose State. More campuses were designated State Normal Schools and in 1921 they became known as State Teachers Colleges. The name changed again in 1935 to State Colleges, which were administered by the State’s Department of Education. The impetus to create a unified college system with shared standards gathered strength in the 1950s, when the G.I. Bill enabled thousands of former servicemen to attend college. The old system simply could not provide a consistently high level of education. In 1960, the state’s Master Plan for Higher Education and the Donahoe Higher Education Act created California State Universities and Colleges, intended to provide up to four years of higher education for most students, but also offering master’s degrees in some areas. The Donahoe Act also set up the Board of Trustees that governs CSU. In addition to CSU, the Donahoe Act established the University of California and the California Community College systems. By 1963, a Master Curricular Plan was approved which afforded students preparation for professional and occupational goals and a broad liberal arts education. All the CSU schools were renamed in 1972 so that their names began with California State College or University, followed by the city name. Some have reverted to their former names, like San Jose State. 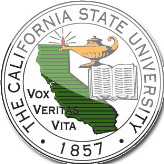 In 1982, the system changed its name once more to The California State University. In the past few years, CSU has been authorized to offer doctoral degrees in education, physical therapy and nursing practice. The newest campus of CSU, which opened in 2002, is on the Channel Islands. California State University is the nation’s largest university system, with 22 campuses located all over the state and the California Maritime Academy. CSU Mentor allows prospective students to view the nearest campus by zip code or major, or to sort and view comparisons of several campuses. In addition, there are seven off-campus centers, numerous centers and institutes offering specialized training and 22 biological field stations and marine laboratories. All are available to students seeking accessible and affordable higher education. CSU welcomes the top one-third of California’s high school graduates and it graduates about 95,000 people each year: more than 75,000 with bachelor’s degrees and 19,000 with master’s degrees. A 25-member board of trustees adopts the rules, regulations and policies that govern CSU in areas of curricular development, use and development of funds, property and facilities, and fiscal and human resource management. The trustees also appoint the chancellor, the vice chancellor and the university presidents. Members of the board include the governor, lieutenant governor, speaker of the state assembly, the state superintendent of public instruction and the CSU chancellor. The CSU alumni council appoints a trustee, and the governor appoints a faculty trustee and two student trustees, one non-voting. These appointees serve two-year terms. The governor appoints 16 more trustees who are confirmed by the state Senate and serve eight-year terms. The board meets seven times a year and currently has nine standing committees: Audit, Campus Planning, Building and Grounds, Collective Bargaining, Educational Policy, Finance, Governmental Relations, Institutional Advancement, Organization and Rules and University and Faculty Personnel. The chancellor, appointed by the board of trustees, is the chief executive officer of CSU. Each campus also has a president appointed by the trustees to be the chief executive officer at their location. The presidents also serve as the face of the university and the liaison between the school and community, and they report to the chancellor. The cost of attending a CSU school has doubled since 2007 as all institutions of higher learning in California continue to wrestle with diminishing support from a state government caught in the throes of an economic downturn. Reacting to an anticipated $500 million budget, CSU in late 2010 raised tuition student fees by 10%, generating $225 million, though one-third of that was earmarked for student financial aid. When the budget cut was finalized at $650 million in July 2011, the board of trustees voted another tuition hike of 12%. It was the second increase in less than a year. CSU Chief Financial Officer Ben Quillian said the alternative to raising tuition the second time was denying 400,000 students admission, closing entire campuses or eliminating 2,300 jobs. The university laid off more than 4,125 employees since 2008, around 9% of its workforce. At the same time trustees approved tuition increases, they also approved hefty salary and benefit increases for three executives and the CSU chancellor. Incoming San Diego campus President Elliot Hirshman will be paid $400,000 a year, $100,000 more than his predecessor. Associate Vice President Santiago Muñoz got a 24% boost to $250,000 and Vice President Patrick Lenz received a 10% raise to $300,000. Mark Laret, who runs the UCSF Medical Center, saw his compensation rise $195,300 to $935,000, with a retention bonus of $1 million over four years. Democratic state Senator Leland Yee immediately introduced legislation to prohibit executive pay raises at CSU and the University of California in years the state does not raise school allocations. While high profile executives were on the receiving end of CSU’s largesse, salaries in general were feeling the budget pinch, according to an analysis by the Orange County Register. The average fulltime employee in 2010 took a $2,302 pay cut, down from $60,010 in 2009. Nearly one-third of CSU’s $7.21 billion budget comes from the state’s General Fund. Another third is from student fees and tuition. Around 13% is from unclassified funds, 9% is federal money for student aid and most of the rest comes from dormitory charges and parking revenues. CSU slices and dices its budget in various ways, but in a Q&A on its website it says 42% is spent on instruction, 25% goes for operations and institutional support (administration, information technology, etc. ), 11% for libraries, museums, academic technology and other academic support, 10.9% for student grants and loans, and 10.8% for student service like counseling and health centers. In 2009, a foundation at Sonoma State used funds donated to the university as loans to cronies of the foundation’s board members—in one case, a million dollars was loaned to a former board member who declared bankruptcy after receiving the money. And at Sacramento State, the president used such funds ($27,000) to remodel his kitchen, according to the Times. A bill to extend the Public Records Act to cover these foundations passed California’s legislature but was vetoed by Governor Arnold Schwarzenegger on grounds that it would discourage donors who wanted to give money anonymously. A rewritten version of the bill was reintroduced by state Senator Leland Yee in 2010. CSU Stanislaus asked former Alaska governor and vice presidential candidate Sarah Palin to speak at a 2010 fundraising dinner, and committed to paying her at least $75,000 to do so. Details were handled by the university’s foundation, so when watchdog groups asked to see Palin’s contract, the university made a touchy situation worse by denying that they had any paperwork about Palin’s appearance. CSU students found shredded documents—including pages of Palin’s contract—in a school dumpster, and brought them to Senator Yee. The state’s Attorney General announced a probe. A judge later found the university in violation of California’s Public Records laws. While behind-the-scenes money flowing from foundations to the 23 CSU schools has been an ongoing issue, a report by the state Auditor in 2007 said it was only part of a larger problem—a lack of transparency at the university. The university “needs to strengthen its oversight and establish stricter policies for compensating current and former employees,” State Auditor Elaine Howle concluded in her report. She cited a deal brokered by the chancellor that paid a former CSU management employee $102,000 over seven years while the former employee worked fulltime in Sacramento. Some executives and campus presidents were reimbursed thousands of dollars to pay closing costs on homes. A San Diego campus foundation paid new head basketball Coach Steve Fisher’s $6,000 tax liability connected to his move to California. He previously coached at the University of Michigan. The audit said that the CSU trustees and the public were often not given a full accounting of these types of “transition” fees. While foundations provided some of the money, the audit found payments also came from the general fund and special accounts. Chancellor Charles Reed admitted that “we could improve our policy and procedures” but denied that anyone received preferential treatment. · Yee sponsored a bill in 2006 that become law, protecting the free speech on campus of students from disciplinary action by administrators. · In 2009, Yee pushed through a bill to freeze executive salaries at CSU and UC. After being approved by the state congress, it was vetoed by the governor. · SB 8, or the Richard McKee Transparency Act, is Yee’s third attempt to extend the state’s public record laws to cover foundations and auxiliary groups that raise funds for the state’s colleges and universities. Previous bills were vetoed by the governor after being approved by the State Senate and Assembly. Are Executives of the California State University System Paid Too Much? In 2007, trustees of the California State University System were loudly criticized when they approved executive pay increases of between 9 and 18%. The controversy reignited when student fees were raised in 2009, and again in July 2011, when—on the same day that California State University Trustees raised tuition by 10% or more for the second time in one year—the trustees decided to raise the salary of the incoming president of San Diego State University by $100,000. No. Pay must remain competitive to keep top executives. In 2007 and in 2011, CSU executives and spokespersons pointed to studies by Mercer Human Resource Consulting which averaged salaries and other compensation to executives at 15 public and five private universities across the country. According to Mercer’s findings, CSU executive pay lagged behind that of comparable universities by as much as 46% in 2006 and 52% in 2010, and the large raises simply brought salaries into a competitive range. W. Ann Reynolds, 1982-1990. Reynolds resigned under a cloud after eight years as chancellor, when the trustees questioned large pay raises given to state university presidents and herself. Glenn S. Dumke, 1962-1982. Dumke had a profound influence on the California State University system through its first 20 years. He shaped the academic and admission standards and governance structure, set up off-campus centers of education, and in 1978 created an aggressive affirmative action program to boost enrollment of minority and women students. Buell Gallagher, 1961-1962. Gallagher served only eight months in the position before abruptly resigning. There are no shortages of challenges for Timothy P. White, selected in October 2012 as the new chancellor of the 23-campus California State University (CSU). He succeeds Charles B. Reed, who retired after 14 years at the helm. The 427,000-student CSU system has undergone steep budget cuts over the past three years and faces another $250 million whack in mid-school year if voters reject Governor Jerry Brown’s Proposition 30 on the November 6 ballot. White was selected as chancellor by the CSU board of trustees and is expected to assume his new duties at the end of December. A native of Buenos Aires, Argentina, White became a naturalized U.S. citizen after first immigrating with his family, at the age of 10, to Canada. He was the first in his family to earn a college degree and attended all three systems of California higher education. White speaks often of his immigrant experience. White graduated from Pleasant Hill High School in Pleasant Hill, California, in 1966. He attended nearby Diablo Valley Community College for two years before transferring to California State University, Fresno, where he received a bachelor of arts degree in 1970. Two years later, he picked up a master of science degree at California State University, Hayward, and added a Ph.D. from the University of California, Berkeley in 1977. During the latter part of his Ph.D. program, White became involved with the University of Michigan, began his academic career there and stayed for 13 years. He was a post-doctoral scholar and research associate in the Department of Physiology, School of Medicine, at UofM from 1976-78. White was an assistant professor in the Department of Kinesiology from 1978-82, an associate professor from 1982-89 and a professor from 1989-91. He was department chairman from 1985-91. In addition to his teaching activities, White was an associate research scientist at the Institute of Gerontology from 1986-90 and a research scientist from 1990-91. White returned to California in 1991 as a professor in the Department of Human Biodynamics at UC Berkeley, becoming its chairman the next year. He left the school in 1996 to become professor in the Department of Exercise and Sports Science and dean of the College of Health and Human Sciences at Oregon State University in Corvallis. From 2000-04, he was alternately provost, executive vice president and interim president of the university. White left Oregon in 2004 after a State Board of Higher Education rule on interim assignments excluded him from consideration for “permanent” appointment as university president. He was hired as president by the University of Idaho, Moscow, where he was also a professor of biological sciences in the College of Science. California beckoned once again, and in September 2008 White accepted the chancellorship at the University of California, Riverside, where he also was professor of biology and biomedical sciences, positions he held until his most recent appointment. White and his wife Karen have four children, Logan, Randy, Tim and Alex.